Save A Lab Rescue is an all-volunteer, not-for-profit 501(c)(3) organization that is dedicated to the rescue, rehabilitation and rehoming of displaced Labrador Retrievers and Labrador Retriever mixes. Our network of volunteers is located primarily in the southern and northeastern regions of the U.S. Click here to see our current service area. We rescue Labradors that are in danger of being euthanized at animal shelters or that are in situations that are abusive, neglectful and/or harmful. 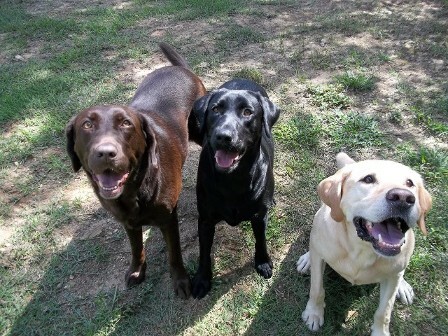 Save A Lab Rescue provides all necessary veterinary care for its rescued Labradors and transports them to approved foster homes, where they are cared for until they are adopted. The organization conducts a thorough screening process of its prospective adopters, and seeks to place its rescued Labradors into approved, permanent adoptive homes. We are always in need of adopters and fosters! Donations are also extremely critical to our operation, as adoption fees only offset a portion of the expenses we incur in vetting and transporting our rescued Labradors. Please email us at info@SaveALabRescue.org if you would like to help. You can literally help to save the life of a lab in need!